Is it fair to pay for a 3X UBER price surge during a storm? Is it fair to pay $300 for a last minute change in airline ticket? As a return customer, is it fair that new customers get different special offers? From a purely economic stance, yes it is fair; price should increase when demand is higher than supply. Making last minute changes to a flight poses an operational challenge to airlines so its advantageous for them to disincentives this behavior by charging a premium. And it is harder to acquire new customers than it is to retain existing ones, so it makes economic sense for companies to offer new customers better deals. The reality is, what makes economic sense does not necessarily make "people" sense. Economic principles are based on rationale behaviors and humans are inherently irrational. Therefore, economic fairness is not necessarily what people would consider fair. This discrepancy, between economic standards and people's standards, is reflected in customers' relationships with companies and expectations for brands. Today, we want brands to behave more like people. Research shows that brands that do this are more successful when connecting to and building trust with their customers. This does not necessarily mean that brands should try to be their customers’ best friend, but it does mean acting in a way that defies rational behaviors, which means favoring the unconventional: "irrational" pricing models, "irrational" treatment to customers and "irrational" payment policies. What does that look like? Irrational pricing model: Economics love price gauging. People hate it. 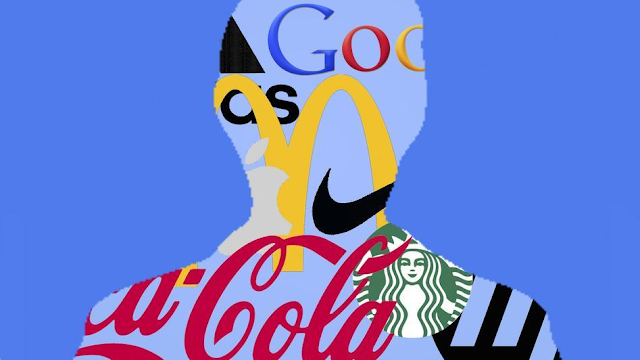 Human brands should not change its price based on the law of supply and demand. As far as most economists are concerned, it would be entirely reasonable for a grocery store to raise prices the day before a hurricane. In fact, that's what's supposed to happen. If prices don't go up when demand increases, you wind up with shortages. To an economist, empty shelves at grocery stores are evidence that prices were too low. The reality is that people hate it. They despise being taking advantage of when they are in dire need. They consider this behavior to be exploitative and unethical, which is why many states in the US already have anti-gauging laws. Uber has learned the hard way in New York. During Hurricane Sandy, the company was the target of widespread criticism for implementing its high demand pricing system while New Yorkers struggled to commute because of clogged public transit systems. Because of public outlast, Uber was forced to change its course and announced that it would eliminate surge pricing in light of the storm and would make up the difference out of their own pocket. Irrational treatment to customers: Preferential treatment is fair in a purely rational world. However, people perceive it as unfair. Human brands should give existing customers the same deal that new customers get. No one is happy when they compare product prices and realize that they paid far more than someone else did just because that other person was a "new" customer. The New York Times upset subscribers when it sent a message to millions of people that offered a discount if they renewed their subscription. You’d think a discount offer would excite customers but, in this case, a customer service gaffe did the opposite. The email only meant to be sent to 300 subscribers who had recently canceled their subscriptions. But, because of an error, the message hit closer to eight million inboxes of long-time, loyal subscribers who were upset that dropouts got special incentives. Irrational payment policies: In the business world, it is fair to charge late fees. People hate late fees. Human brands should have forgiveness policies and/or eliminate late fees. We're only human. We make mistakes, like forgetting to pay a bill or not returning a product within the return policy timeframe. And even if it is our fault, we hate getting penalized for it. Blockbuster is a testament to how late fees and hubris can kill a business. If a customer forget to return a movie or game on time, they could easily pay double or triple the cost of the rental because of late fees. This enraged customers. Netflix saw this anger and built a business strategy that met customer expectations: they created a rental service with a flat-fee system. Blockbuster did not stand a chance. In summary, for brands to behave like people, they need to change how they do business. Brands must develop a business model that defies the rational behaviors of the business world and cast aside traditional economics norms. To be successful, brands must embrace their customers' imperfections and inconsistencies. In an irrational human world, we need irrational brands.